Testing the day after a race is always a bit difficult, and when you have won the race it is even harder to feel motivated! However we know that we have to keep improving, because the championship is not over yet and anything could happen! Motorcycling is an art. Be it touring or racing, the body moves on two wheels and the engine along with the machinery thumping between the legs, the little cold air going inside the helmet, open roads ahead and the scenic beauty (be it a highway or a track), all together gives bikers the sense of being alive every second they are on his motorcycle. Then 2010 and 2012 Jorge Lorenzo’s Year (A great rider again, from Spain). 2011 was won by the Australian Casey Stoner. In 2012 I started watching Moto2 as Casey stoner (My second Favourite) announced his retirement and there was nothing left for me to watch in Moto GP other than that 1-2 , 1-2 fight between Lorenzo and Pedrosa. In the same year Moto 2 was ruled by a kid who became the world champion and signed with Honda in 2013 for Moto GP. This kid was a treat to watch. 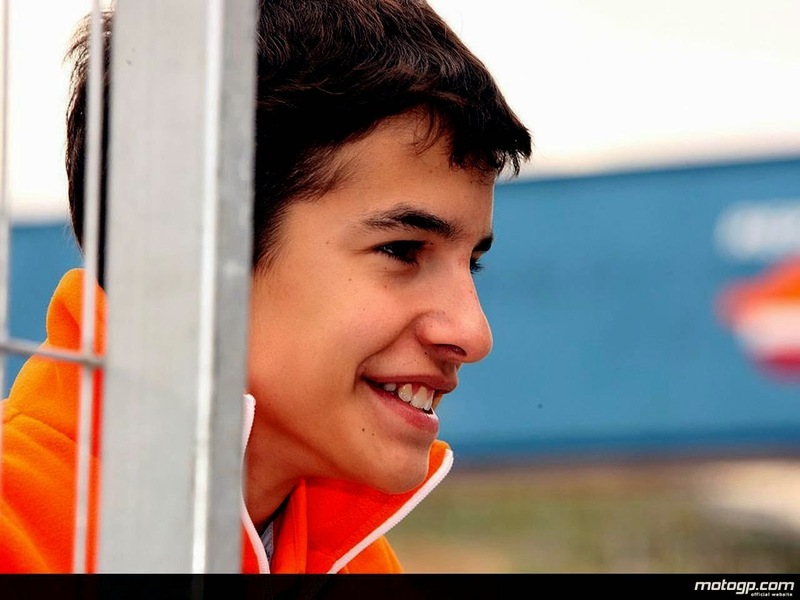 Yes I am talking about the Current world champion and Most probably the Champion for 2014 – “Marc Marquez” . My new Hero. After Kenny Roberts from USA who won the World Championship at the very first attempt, Marc was again a rookie champion in 2013. Riding the Honda’s RC 213V, The fastest, and probably the most powerful motorcycle on the Moto GP grid and the latest development of Honda’s Moto GP programme, which has been winning world titles since the advent of the four-stroke class in 2002, he has won 9 out of 9 races in 2014 and sooner will be the youngest double Moto GP world champion. Marc’s wild style of riding makes him different from others. The skill to wrestle with the machine, the control when doing the bend on the turns, pushing the machine beyond its limits, are all the marks of a true motorsport great. 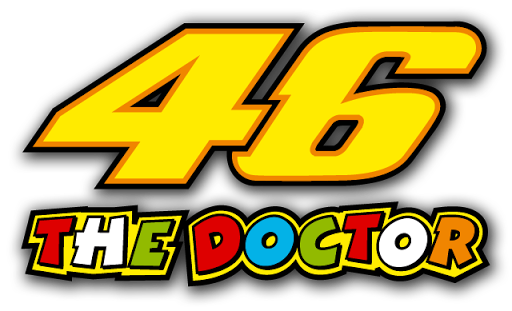 He does some amazing stuffs with the knees and the elbows (The Moto GP ads shows around 63 degrees from the vertical). He wears specially designed magnesium elbow sliders to do so. He fell from his RC213V 15 times during 2013 – including a record-breaking 209mph crash at Mugello – and upset some rivals with his robust style of racing. Marc, however, is unrepentant. “I need to attack because this is my style and I enjoy it,” he says. 2014 has been an amazing race year for him winning all 9 out of 9 races. He is giving a tough time to his competitors. 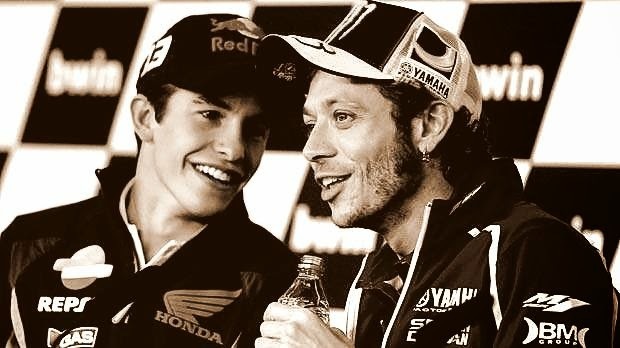 With Rossi as his role model, Marc is bringing back the older days of ruling the track again. Race on race he is adding records and laurels to his and his country’s name. Born (17 February 1993) and brought up in Cervera, a small town 60 miles inland from Barcelona, and with Rossi as his role model, Marc is bringing back the older days of ruling the track again.. He’s one of those racers who loves everything about what he does – whether he’s on the track, in the pits or in the press room. He is already one of the most-loved sports-persons in Spain . · 125 cc World Champion 2010. 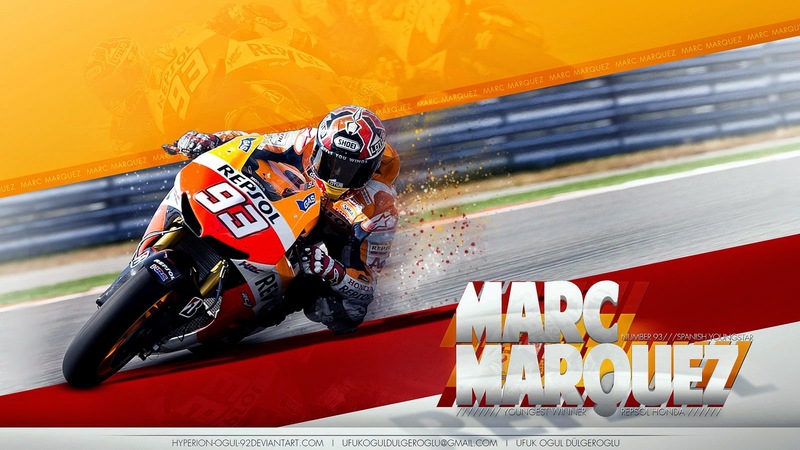 · Moto2 World Champion 2012. 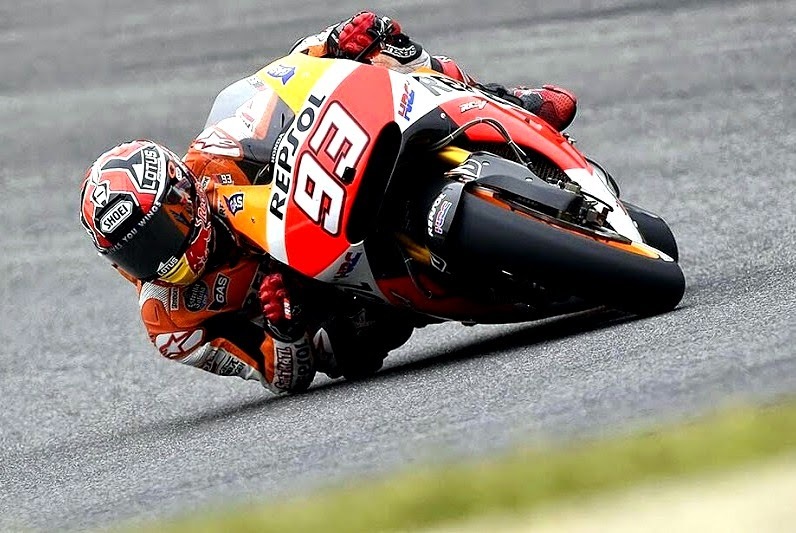 · Moto GP World Champion 2013. · 9 out of 9 races already won in 2014.